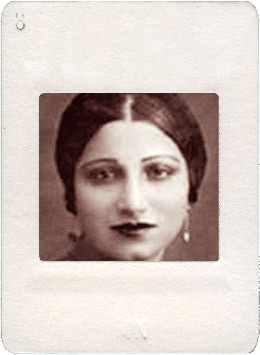 A talented young singer with a quiet personality, Fathiyya Ahmad began her career in musical theaters as a young girl in about 1910. She appeared with the well known theater companies of Najib al-Rihani and Amin Sidqi until 1925, when she decided to focus her energies on public concerts. She became an important mutriba with takht in the tradition of awâlim. She was one of the singers who carried the practice of wasla into the 20th century. Fathiya also made numerous commercial recordings and tours to Syria and Palestine annually where she developed a large audience. Because of this, she was named “Mutribat al Qutrayn” (the singer of two countries – Egypt and Syria). 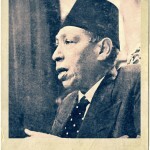 When reading the first issues of the Rose al-Yûsuf magazine published in 1925, it can be seen that three female singers reached stardom “nugûmiyya” during that period: Munîra al-Mahdiyya, Fathiyya Ahmad and Umm Kulthum, this order being the ranking preference of the public. 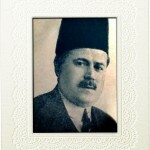 In the early 1920s she married Ismail Bey Saîd, a well to do land owner, and retired from the stage in 1929 to raise her children. Upon her return to the music scene several years later, she appeared regularly as the star singer in the Badi’a Masabni’s, by then a famous music hall. Fathiyya also managed the hall when Badi’a toured. Fathiyya performed until the late 1940s when she began to suffer from a chronic illness.